Statistical analysis of language evolution helps estimate storytelling dates. 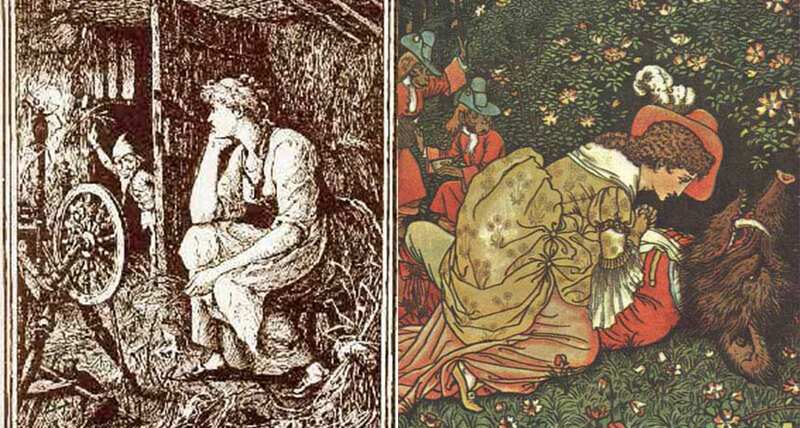 “Beauty and the Beast” is practically “a tale as old as time.” So are a few other folktales, new research shows. Statistical ties between a set of folktales and languages from parts of Europe and Asia have helped researchers date the origins of some stories to thousands of years ago. The roots of the oldest one — a folktale called “The Smith and the Devil” — stretch back to the Bronze Age. The findings, reported January 20 in Royal Society Open Science, may dispel the thought that some well-known folktales such as “Rumpelstiltskin” and “Beauty and the Beast” are recent inventions. “These stories are far older than the first literary evidence for them,” says coauthor Jamie Tehrani, an anthropologist at Durham University in England. When linguists study a language’s evolution, they trace grammatical and phonetical structure through time. “What we were interested in doing is seeing if you could do that for other elements of culture,” Tehrani says. Tehrani and Sara Graça da Silva of the New University of Lisbon in Portugal studied 275 magic-based stories from a database of more than 2,000 types of folktales. Magic stories include beings or objects with supernatural powers and are the largest folktale group. Statistical analyses of the relationship between the folktales and language, as well as between the folktales and how they may have been shared by neighboring peoples, left the team with 76 stories that they thought were strong candidates for accurately estimating folktale age. Family trees, or phylogenies, of Indo-European languages throughout Asia and Europe helped the researchers investigate how the region’s language history related to these folktales. “What these methods allow us to do is to trace back really important dimensions of human culture … much further back than the physical evidence would allow us to do,” says Tehrani, who has also studied the origins of “Little Red Riding Hood” (SN Online: 11/22/13). Four tales had a high probability of being associated with the structure of the Proto-Indo-European language — an ancient common language that dates to around 6,000 years ago and is a precursor to such language families as Romance and Germanic. Only one tale held up to the strictest statistical scrutiny, though. “‘The Smith and the Devil’ is the one we feel absolutely confident as being a Proto-Indo-European tale,” Tehrani says. The story is about a blacksmith who makes a deal with an evil supernatural being for the power to weld any material together. Since the tale is associated with Proto-Indo-European language and includes a character who typically works with metal, the researchers park its origins around 6,000 years ago, in the Bronze Age. The team also found that early versions of “Rumpelstiltskin” (then called “The Name of the Supernatural Helper”) and “Beauty and the Beast” first appear with the emergence of modern Indo-European language subfamilies. The language-story pairings suggest that the tales originated between 3,000 and 4,000 years ago. Not everyone is convinced. John Lindow, a folklorist at the University of California, Berkeley, notes that the Proto-Indo-European vocabulary for working with metal was limited and the word smith might not have existed. If true, that would mean the version of “The Smith and the Devil” used in the study may not be that old, he says. Gravity waves detected at last!